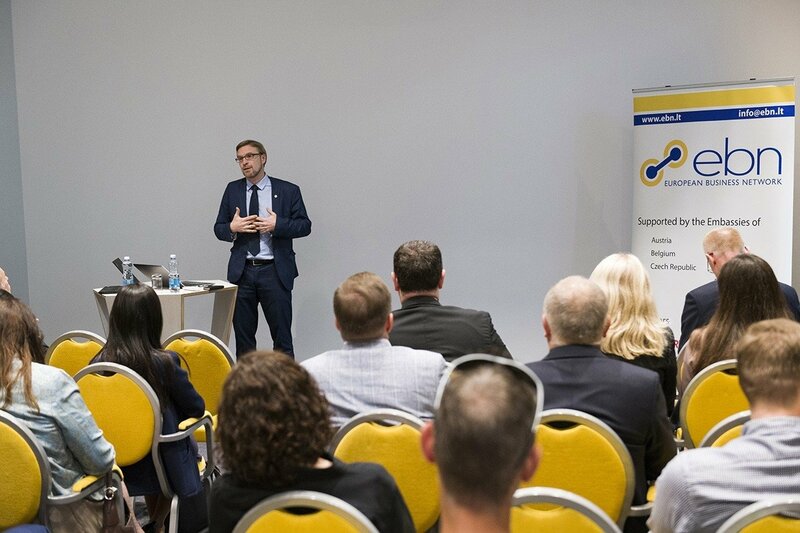 The European Business Network (EBN) presented on Thursday as part of their monthly breakfast presentation 'Work and employment of persons with disabilities' in Vilnius. The minister of Social Security Linas Kukuraitis, himself a former Lecturer of Social Work at Vilnius University was the keynote speaker. Jonas Ruškus, Professor at Vytautas Magnus University, a specialist in employment for disabled people and a member of the Committee on the Rights of Persons with Disabilities of the United Nations spoke about the situation of disabled people in Lithuania, the challenges and the progress made so far. Although Lithuania is committed to improving the life of persons with disabilities and has made some progress after regaining independence, there is still a long road ahead before it reaches levels achieved in Canada, Britain, two countries that have a human right approach. Shifts in societal mentality, outdated classification and assessment procedures are some of the obstacles that the government needs to overcome to provide the weaker groups with a more meaningful existence as being full members of society. Minister, Linas Kukuraitis, himself a former Lecturer of Social Work at Vilnius University and with extensive experience in social work and pedagogic activities related to young people is the right person for the task leading the shift from segregation to social inclusion. That is an important step in the solutions where governments can play the role of sponsoring and providing measures. 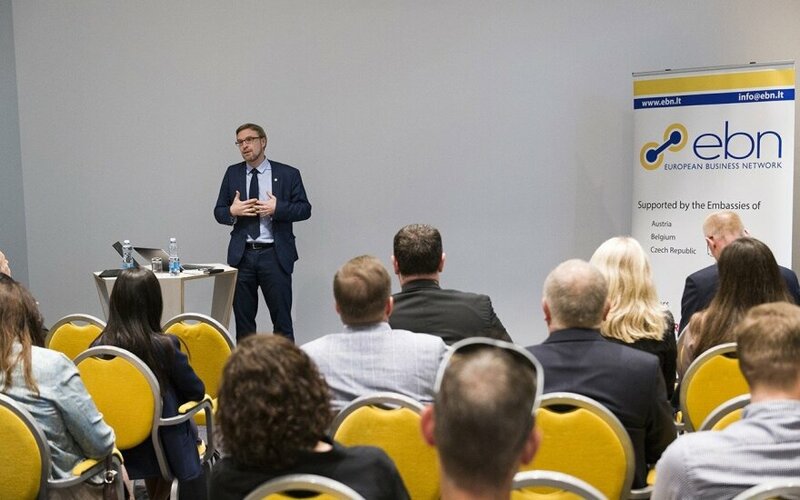 He informed the audience that mainly a change in culture is required to reduce discriminations in order to create the right work environment and social surroundings. More important is that at present disability benefits are provided on the degree of potential activeness hampered by a complex and often embarrassing yearly assessment procedure. The minister suggested a one-stop service provider with NGOs to support employers. Minister Kukuraitis said, ''We have seen success stories during the last year when people moved from institutions to housing within society''. He also said that identifying suitable employment provides dignity and turns people from a societal cost to a contributor, and there are incentives provided to achieve that. While business is mainly profit driven, the government is willing to provide subsidies part in salaries, part in reduced social contributions. Professor Jonas Ruškus teaches at the Department of Social Work at Vytautas Magnus University in Kaunas and a member of various Human Right organisations. Professor Ruškus said, "The right to work is a human right for everyone" and he added, "Inclusive and sustainable growth and employment for all also means including work for people with disabilities.'' About 8% of the Lithuanian society or 224,000 people are classified as disabled, and most are outside of the labour market. Disabled people face enormous attitudinal, physical and informational barriers to equal opportunities in labour market. Unemployment leads to poverty of persons with disabilities, excludes them from society. Professor Ruškus emphasized the right of persons with disabilities to work at inclusive labour market as an obligation of the States parties under the Convention of the Rights of Persons with Disabilities of the United Nations. Further, he recalled to the right to decent work of persons with disabilities through Sustainable Development Goals. The professor emphasized that persons with disabilities, regardless of the type of disability, can be very committed, dependable employees. Hiring persons with disabilities increases workforce morale, consumers look up favourably upon businesses that employ persons with disabilities. Persons with disabilities, including those with intellectual disabilities, contribute to business variety and creative solutions. As one of the potential models for Lithuania, the professor cited Slovenia. Slovenia has a policy that encourages employers to hire people with disabilities in private sector. Those that prefer not to participate contribute to a fund providing for reasonable accommodation at work. A quota system, according to professor Ruškus, is one of the possible specific incentives, provided within the Convention that is applicable to both, private and public workplaces, to encourage employment of persons with disabilities in the inclusive open labour market. During a panel discussion, questions were raised about tax incentives, and subsidies provided and the often-complex government rules. Professor Ruškus advocated a human rights-based approach. He cited that nearly 100% of all caregivers are women, often in family situations. He urged Lithuania to take 'defamilisation' serious to shift care giving from family members towards a professional approach avoiding 2 people being lost in the productivity process (caregiver and taker). Right to equality and non-discrimination at work is the rights of everyone, including persons with disabilities. Disabled people congratulate Lithuania on it‘s 100th birthday!